A micro server framework on top of Swift NIO. It adds an Express like API on top of the low level Swift NIO API. This package is part of the Always Right Institute's blog series about the Swift Server Workgroup's offical Swift HTTP API. Please checkout Part 3 of our blog series to learn what this is about. This is a tiny framework, for a more full featured, synchronous Express-like API in Swift, have a look at ExExpress (as used in ApacheExpress). 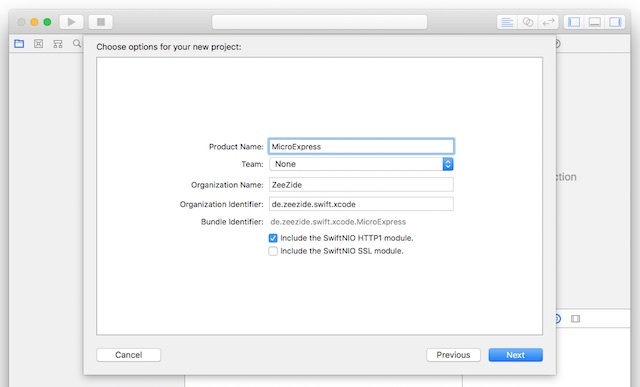 Noze.io comes w/ an asynchronous variant (but is using Dispatch, not Swift NIO - stay tuned). Choose the easy way using the swift-xcode Swift NIO image, or take the hard way and use swift package generate-xcodeproj. build and run, and then have fun! Important: This creates a few schemes in the Xcode project. Make sure to select the right one when building & running. MicroExpress is brought to you by the Always Right Institute and ZeeZide. We like feedback, GitHub stars, cool contract work, presumably any form of praise you can think of. There is a #microexpress channel on the Noze.io Slack. Feel free to join! Update to changes in NIO 2's API. Properly close contexts on error as suggested in issue #8. Support for Swift 5 and NIO 2 (master). Compiles w/ both, NIO1 and NIO2 and Swift 4...5. 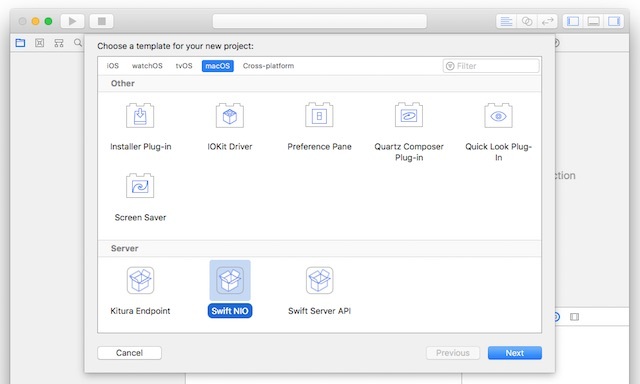 The release accompanying our "A µTutorial on Swift NIO" blog post. A asynchronous micro-framework on top of Swift NIO: featuring middleware, routing, JSON and CORS support in about 350 lines of code.